Did you know that Fuddrucker’s Saskatoon, home of the world’s greatest burgers, does catering? That’s right, not only can we cater to your group of any size, but we can customize everything on our menu for you! That’s a ton of options and a ton of great food. Annnddd, the best part? If you want to order our delicious Fuddruckers burgers for your event, function, office lunch, or supper – you get all the toppings on the side so you can STILL build your own burger!!! Yep, we know…our fresh toppings are part of what make our burgers irresistible. Catered Contractors lunch at Rona – serving 150 taco salads. Breakfast for 220 people at Vendasta – delivered to their door by 7:30am. Midnight lunch for a wedding of 125 people. Dinner including burgers and chicken sandwiches for 30 people at home. Office lunches with 20 different individual orders. 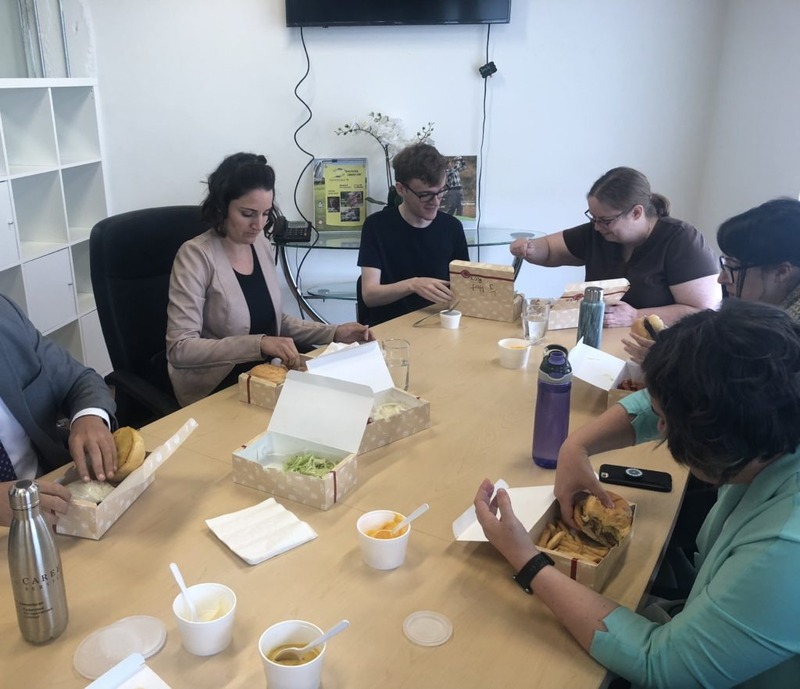 Pharmaceutical sales reps picking up Fudd’s taco salads to take for lunches to hospitals or clinics – often traveling out of town to Humboldt, Lanigan, and Rosetown! Our taco salads travel very well. The midnight lunch was a HUGE success. We had been telling our guests that Fuddrucker's was catering our midnight lunch so there was a bit of anticipation, to say the least! Jodie and her staff were amazing! We got the full Fudd's experience. We had 1/5 lb burgers with all the fixings, BOTH cheese sauces, fries, and cookies! They delivered it on time and set everything up for us. We have been married almost a year now and people still talk about our wedding and how our midnight lunch was the "BEST MIDNIGHT LUNCH EVER". Let us take care of feeding your party so you can have fun! Fill out the quote form below, one of our team members will then contact you to finalize the details!